It’s just about possible that there’s a twist in store to disrupt what has become the standard Bundesliga narrative. Although Dortmund failed to collect the three points needed to really incite panic in the Bayern Munich camp, a five-point gap is not insurmountable given the European pressures that the Bavarians are bound to experience. Of course, Dortmund themselves have the Europa League to contend with but that could arguably take a backseat in their pursuit of the Bundesliga title. With plenty of points still up for grabs, this could be the beginning of a fascinating trophy run-in. Hertha Berlin stayed third despite a 2-0 loss away from home at Hamburg. This weekend will be a true test of their European credentials as they host an in-form Schalke side just a point below the Old Lady. Schalke climbed to fourth spot on the table with a rousing away victory at Cologne. The 3-1 scoreline is perhaps an unfair representation of how hard Schalke were made to work for the three points, with goalkeeper Ralf Fahrmann making a succession of fine saves to keep the Royal Blues in the game. That’s two wins on the trot for Schalke and they’ll leapfrog Berlin with three points here. Both Teams To Score is my bet here at 15/20. Gladbach fell to sixth place in the league following a 2-1 defeat to Wolfsburg at the weekend and only have inconsistency to blame for not being in a stronger position to push for Champions League qualification. Still, in a congested mid-table, a stretch of form similar to the back end of 2015 will almost certainly see them finish the season in third place. This will still be a tough ask but a very winnable fixture presents itself this weekend in the form of Eintracht Frankfurt. The club sacked manager Armin Veh after a 1-1 draw with Ingolstadt that left Frankfurt in the bottom three. A new coach will be appointed soon but whether he will be able to motivate the players to stay in the top flight is contentious. Back the home win in this one at 11/20. Hannover remain rooted to the bottom of the Bundesliga following a 4-1 thrashing at the hands of Werder Bremen. It was a miserable return to the Weserstadion for Hannover manager Thomas Schaaf, his side having only one win to show from their past 11 matches. Relegation seems a certainty. Cologne put up a brave showing but were ultimately made to pay for missed chances in their 3-1 loss to Schalke. Cologne are in poor form with three losses and a draw from their last four games, and will have one eye trained on the relegation zone six points away. The away Win or Draw Double Chance at 7/20 does enough for me here. Hoffenheim were thrashed by local rivals Stuttgart 5-1 at the weekend, the loss leaving them five points adrift of safety. The club had visibly improved with home wins over Mainz and Augsburg, but it seems a case of one step forward, two steps back following their most recent result. Wolfsburg moved a point above Leverkusen with a 2-1 win over Gladbach at the Volkswagen Arena. Wolfsburg have only lost one of their last six and will be hoping for a late season surge from a squad that has seemingly found some synergy. Wolfsburg have been very poor on the road with the exception of their latest travel to Hannover. The away Win or Draw Double Chance at 7/20 seems the bet to be on. Ingolstadt made it three 1-1 draws in a row as they shared the spoils with Frankfurt after going down to 10 men this past weekend. Ingolstadt will consider the recent results a job well done as they sit ninth on the table, relatively safe from the drop after winning promotion from the second division last season. Stuttgart emphatically bounced back from two straight defeats to romp to a 5-1 victory over Hoffenheim. Stuttgart’s magnificent run of form through December and January have all but guaranteed the club top flight football next season. They’re a mere point behind Ingolstadt and I’m expecting a cagey encounter. Under 2.5 Goals at 8/10 makes a lot of appeal given Ingolstadt’s results at home this season. Darmstadt’s promising start to life in the top flight has been derailed in recent weeks and now the club will certainly face a real struggle to stay up. They’re only two points clear of safety, without a win in their last five matches. Darmstadt frustrated a 10-man Mainz into a goalless draw away from home to claim a precious point last time out. Augsburg are level on points with Darmstadt, making this clash extremely important in context of both clubs fighting for survival. Augsburg have won only once in their last eight Bundesliga matches and played out an exciting 3-3 with Leverkusen this past weekend. Darmstadt haven’t won at home since September and have lost their last four on the trot. Back Augsburg to grab the three points at 33/20. Bayern Munich perhaps came away the better of the two clubs in the much-hyped weekend ‘Klassiker’. Their destiny is now in their own hands but potential progression in the Champions League could still see the club slip up again, as they did midweek against Mainz. The five-point cushion is a cosy one, but it will be vital that they hold their concentration and intensity to collect a fourth-straight title. Werder Bremen have now collected two 4-1 wins on the trot - the victory over Hannover was the first on their home patch since all the way back in August. Werder Bremen looks good enough to avoid relegation but not to avoid defeat here. In the interest of value, I quite like Both Teams To Score at 9/10. Bayer Leverkusen have endured a run of four matches without a win, beaten by Dortmund, Mainz and Werder Bremen before fighting back to secure a point in a six-goal thriller at Augsburg. 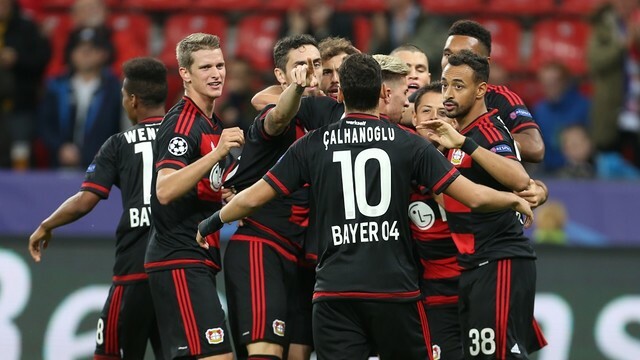 Ja-Cheol Koo scored a hat-trick for the Bavarian club yet Leverkusen came from three goals behind to claim a draw with the last kick of the game. Their hopes of Europe may be fading, but perhaps the morale-boosting comeback will see Leverkusen turn a corner. Hamburg ended a run of three matches without a win by beating Hertha Berlin 2-0 at home. Hamburg find themselves mid-table with little left to play for other than ensuring survival. I fancy the home win at 6/10. Dortmund will be pleased not to have fallen eight points back of Bayern Munich but still face an uphill battle to Bundesliga glory. Dortmund have the visit of Tottenham to contend with in midweek Europa League action before yet another important match in the league. Every single fixture now becomes ‘must-win’ as any failures will likely see Munich move too far ahead to catch. They also welcome giant-killers Mainz to Signal Iduna Park, who beat none other than mighty Munich in midweek league action. Mainz played out a goalless draw with Darmstadt that has seen them consolidate a league position of fifth. 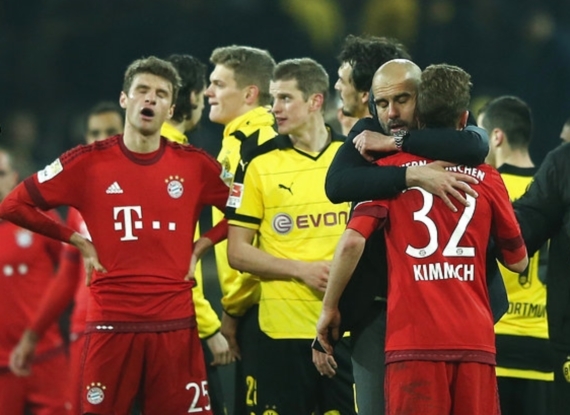 This is a tough one to call as Dortmund’s title challenge could easily become derailed here. I like Both Teams To Score at 15/20.